Is the Big City truly the best city? In Japan, the number of people who moved to rural areas in the five-year span starting in 2009 more than quadrupled, now exceeding 10,000. It appears that Japanese people are starting to move to the countryside more and more. On the other hand, in 2015 the number of people who moved to the capital city, Tokyo, was 125,000 greater than the number of people who moved away. Overpopulation in Tokyo is still on the rise. Young people in rural areas tend to think, “I want to go to Tokyo and work an interesting, well-paying job.” It seems to be the case that the feeling you get working in Tokyo is something that cannot be found in one’s hometown. 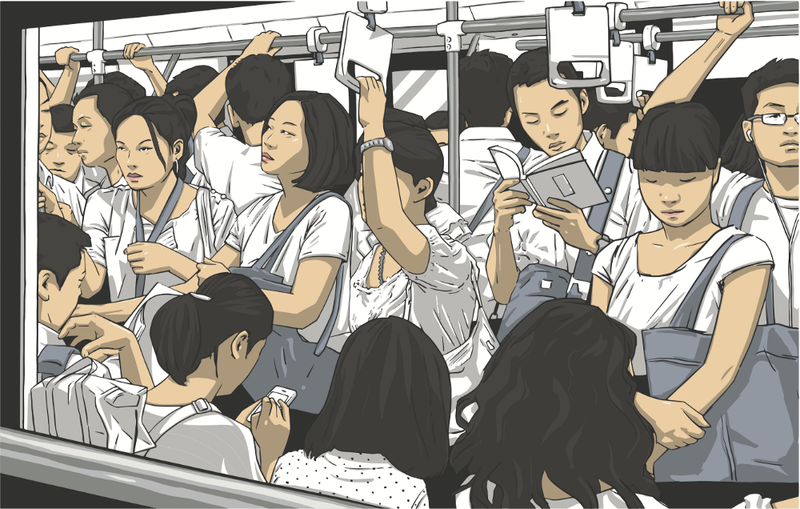 Although it is not uncommon for Tokyo residents to commute to work for over an hour in a packed train, people who live that way for over 40 years, up until the age of retirement, end up spending 20,000 hours — or 2 years and 3 months — commuting. The average annual income in Tokyo last year was about 6.55 million yen. However, land prices and the overall cost of living in Miyazaki Prefecture, in the southern island of Kyushu, are so cheap that someone making 4 million yen a year there can live a lifestyle comparable to someone making 7 million yen a year in Tokyo. Plus, the average commute time there is thought to be the shortest in Japan, at only 19 minutes. So living in the city may not mean actually earning more than people living in the countryside. In fact, once people hit their thirties, they may come to realize that the fatigue of city life outweighs the stimulation derived from their job. It is inevitable that one’s income would decrease temporarily upon moving to a rural area. However, in an environment in which every individual is comparatively significant, capable people will be able to do interesting work eventually. Currently, over a quarter of Japan’s population lives in the Tokyo metropolitan area, and there is ample opportunity to meet and learn from skilled people there. But if more interesting people were to reside in other areas, overpopulation in Tokyo would come to an end. There’s no point in wasting 20,000 hours of your life, just to make sure that you would be able to move away the moment you feel that Tokyo doesn’t have what you seek anymore however while you are in Tokyo it would be best to build up your skills. Adapted from the original article in Japanese by Housecom.